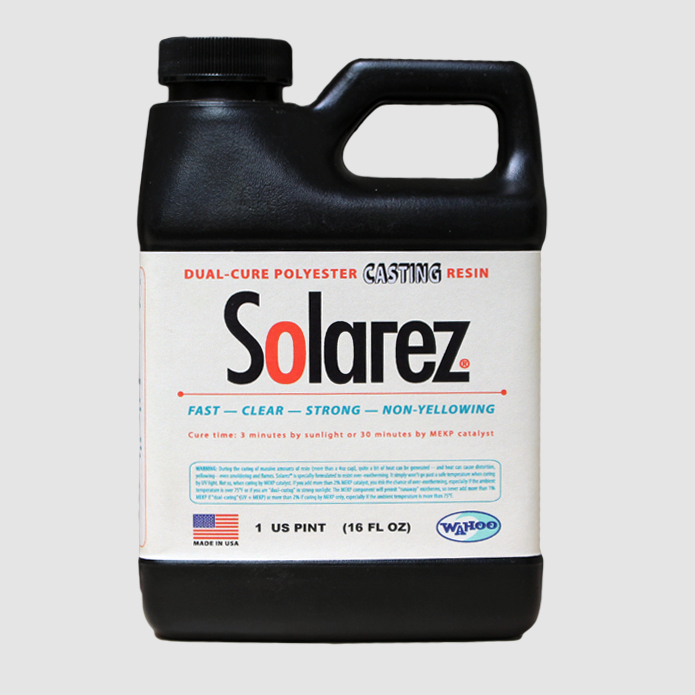 This water-clear, UV curable polyester resin will cure by either exposure to sunlight in roughly 3 minutes or by adding MEKP catalyst the old-fashioned way, hardening in 30 minutes. 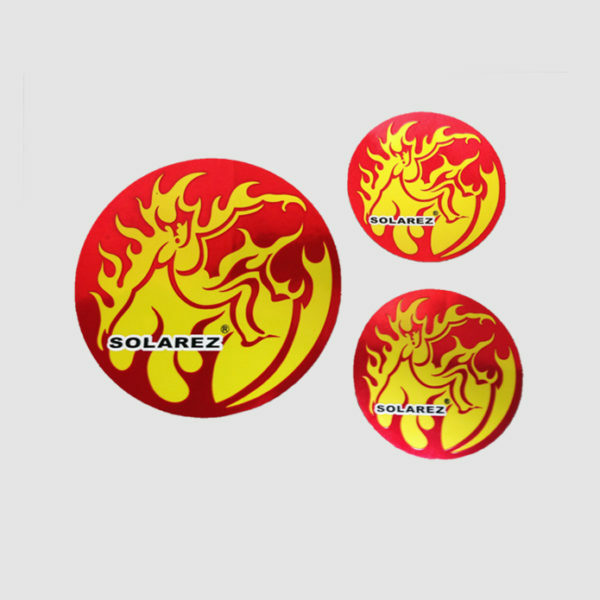 Either way, you can quickly make beautiful clear-cast parts with Solarez. UV casting of parts takes into consideration many things; amount (mass) of resin to be cured, ambient temperature and surface contour of the part you want the resin to cure around. 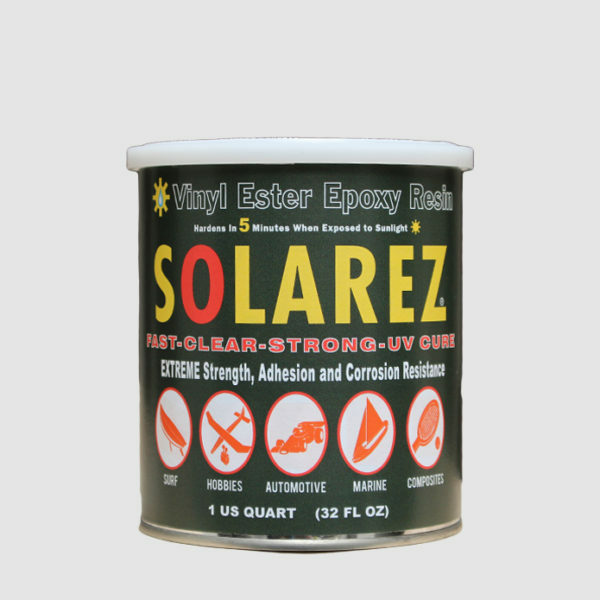 If [UV] light can reach all surfaces of your part and all the resin in the casting, you can “solarcure” with UV light only and it will take about 3 minutes – even at temperatures of -20°F. WOW !! That’s incredible! However, if your part has dark colors or contours that shadow light penetration, you can “dual cure” by premixing a mild amount (1%) of MEKP catalyst. The sun or artificial UV light will cure whatever areas of resin are exposed to the UV radiation and the resin will rapidly cure and gently exotherm, warming and accelerating the other shadowed areas that are bathed in the mildly catalyzed resin. You could also add the standard 2% dose and cure completely cure by MEKP in the shade just like the old-fashioned way and it will yield beautiful results in temperatures between 55°F to 90°F. Below that; it will cure tediously slow or not at all, above that, and it could over-exotherm. Tried this as a glaze for cold porcelain Christmas ornaments and shrink plastic pieces. so far its working fine. 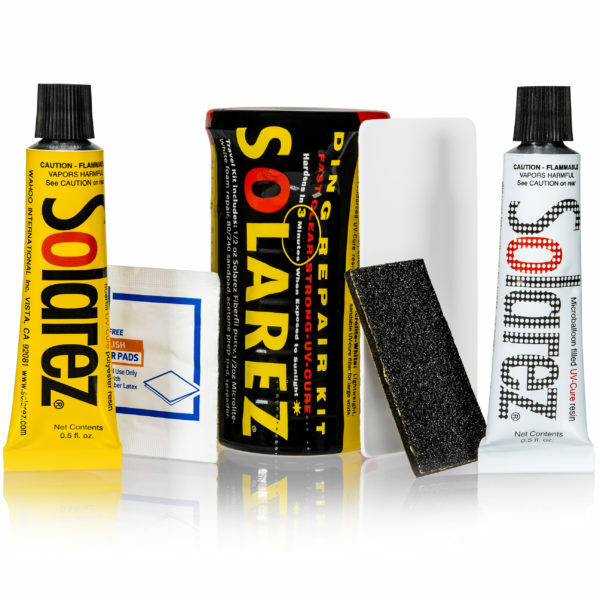 It can also be used for doming on flat surfaces if applied slowly too. It smells pretty bad but it isn’t as bad as e6000 glue so i cant complain. I’m just a bit sad cause i cant seem to find the catalyst (the stuff that cures it without sunlight) anywhere on the site. I’d like to get some so i can use this as an adhesive of sorts for jewelry making projects.